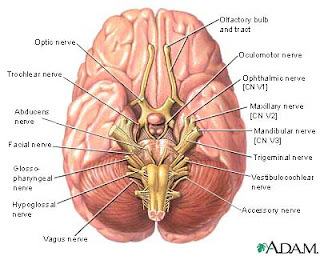 Here is a great site for cranial nerves, compliments of Yale University. It appears to be pretty concise. I thought this mnemonic was a great way to memorize the cranial nerves. Compliments of Jane Jane from Medical Terminology Avenue.